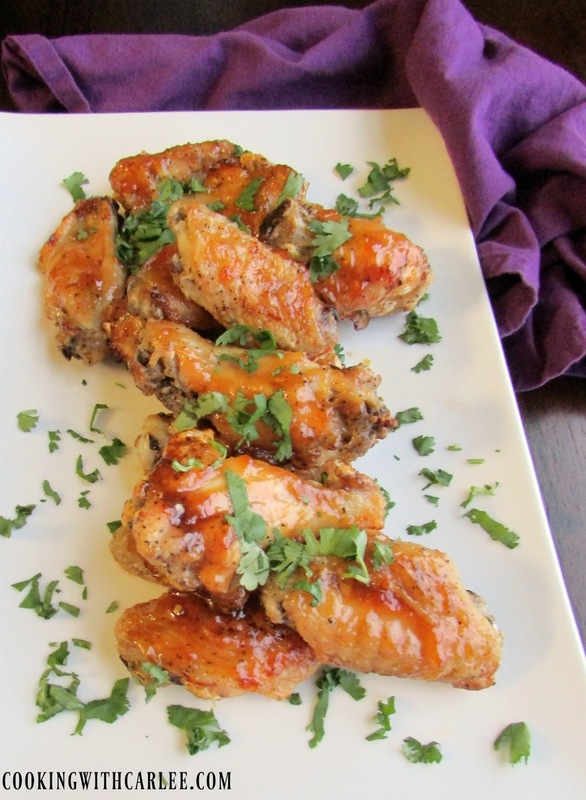 Cooking With Carlee: It's National Chicken Wing Day... Let's Party! It's National Chicken Wing Day... Let's Party! Where are my wing lovers? 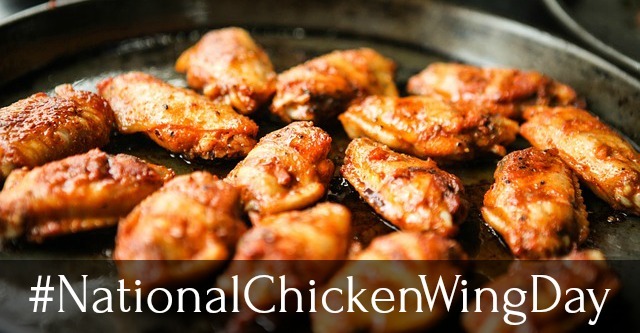 Did you know that today is National Chicken Wing Day? There's a holiday for everything, but I'm ok with it because it gives us an excuse to party. When my husband and I were dating, we used to make a point of watching football every Sunday. I actually brought him over to the dark side, but it didn't take him longto catch on. Whether we made a big pot of chili or went out for wings, I think the food hooked him as much as the game. Of course having a chance at winning our annual pools and fantasy league didn't hurt either. Of course life gets busy and we all started having kids, so it's a little harder to get the group together every Sunday anymore. But we still generally pull out the stops on opening Sunday, when the Steelers are televised locally, during the playoffs and ofcourse for the big game. So don't go feelung too sorry for us! There are still plenty of excuses for chili and wings. With that being said, I have woefully few wing recipes on the blog. I do have a fun recipe for peach habanero wings that are done in the oven though. I do have some Buffalo inspired recipes too. So I am happy to get some inspiration for this season. Lay your best wing and wing inspired recipes on me. Maybe we'll try a different one every week during football season. I know my husband would love that! So now let's share our favorite wing recipes! Go ahead and share your wing inspired recipes as well. The more the merrier! Dropping a link gives me permission to use a photo and a link back to your blog in a possible future post as well as social media promotion. Your work will always be credited back to you! Love wings! You've got some yummy recipes here. We do too! Thanks, Jas! I so wish my husband would share my love of wings!! I would definitely go for some of your Peach Haberno wings, or any other kind too! Mine would happily come help you eat a pile of them!